Spieldauer: 22 Std. und 13 Min. 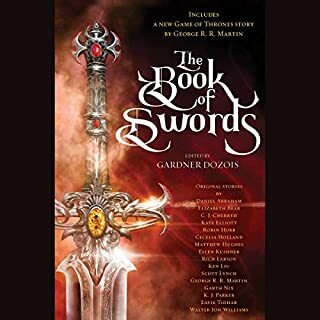 In The Book of Swords, acclaimed editor and best-selling author Gardner Dozois presents an all-new anthology of original epic tales by a stellar cast of award-winning modern masters - many of them set in their authors' best-loved worlds. Join today's finest tellers of fantastic tales, including George R. R. Martin, K. J. Parker, Robin Hobb, Scott Lynch, Ken Liu, C. J. Cherryh, Daniel Abraham, Lavie Tidhar, Ellen Kushner, and more on action-packed journeys into the outer realms of dark enchantment and intrepid derring-do. A very nice collection! I choose it mostly because of Robin Hobb and GRR Martin and I enjoyed both their stories (Hobb's was amazing and heartbreaking, Martin's very interesting and informative) but it was also great for me because I discovered new authors which I really liked! Obviously not all the stories where for me, but it was a very nice selection! I would definitely recommend it to anyone who is looking for new ideas! Also the narrators were excellent! 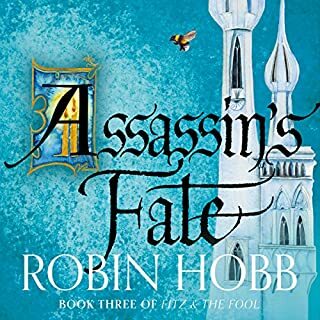 The final book by the brilliant Robin Hobb on the Fitz and Fool trilogy. One of the best fantasy authors! Definitely recommend it! But, I didn't enjoy the narration. The voices were good, the female (Bee's parts) a bit better than the male (Fitz's parts). However, names and terms were pronounced differently than in all the previous audiobooks I have listened, and at least for me, this was very annoying and distracting. I will try and acquire a different version of this book since it's that good that I will definitely read many more times in the future. Spieldauer: 37 Std. und 34 Min. 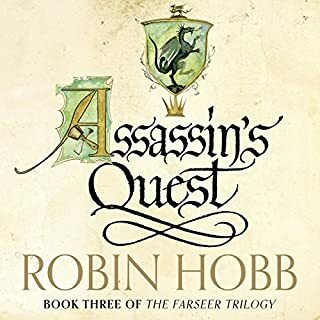 The gripping finale to Robin Hobb’s classic Farseer trilogy. Keystone. Gate. Crossroads. Catalyst. Fitz is about to discover the truth about the Fool's prophecy. Having been resurrected from his fatal tortures in Regal's dungeons, Fitz has once more foiled Regal's attempts to be rid of him. Now, back in his own body, and after months of rehabilitation, Fitz begins the painful and slow process of learning the ways of a man again. Gute Trilogie, aber man erwartet mehr. Amazing book from Robin Hobb's Realm of the Elderlings. Just read or listen to them all. Fantasy to its finest!